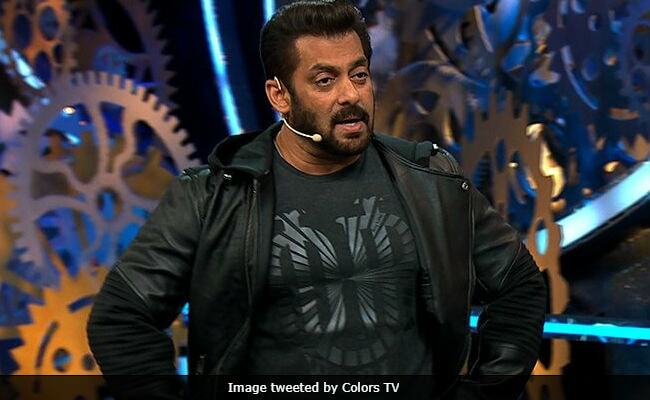 The second part of Bigg Boss 11's Weekend Ka Vaar will continue tonight and host Salman Khan will return with new twists and game before announcing the latest evictee tonight. On Saturday, Vikas Gupta and Shilpa Shinde were told that they are safe while Salman Khan also made the contestant realise how Luv Tyagi was the weakest player of the Luxury Budget Task as opposed to Dhinchak Pooja. Bigg Boss alumna Gauahar Khan was also invited by the omniscient Bigg Boss. Gauahar turned the tables in the show giving Akash a shield from upcoming nomination rounds. But tonight, may not be Akash's lucky night. Everybody knows that Akash wants to be the house captain but Hina Khan stands strongly in his way. Tonight Bigg Boss asks the housemates to nominate three contestants for the captaincy task and apparently Hina Khan's vote matters in Akash's selection. In a preview shared on the official Twitter handle of Colors TV, Hina is adamant to not give her vote to Akash, who is upset and also loses his cool. Will Hina eventually support Akash or will the rapper have to wait longer for his dream to become the house captain? The answer will be out tonight.